For many years, the Partnership for Water Sustainability in British Columbia has been sending out weekly eNewsletters during the periods September through December and January through June. These celebrate the accomplishments of those leading and managing changes in standards of practice, especially those that are science-based and reflect “whole systems” thinking. 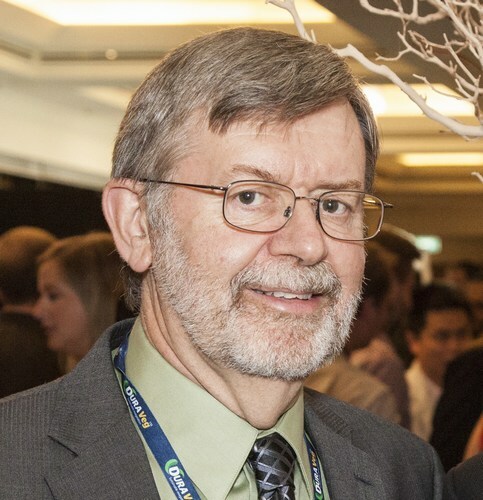 Reproduced below is the eNewsletter that captured highlights of the keynote address by Kim Stephens at Stormwater 2016 in Queensland, Australia. In 2001, Kim Stephens was keynote speaker for an Urban Water Cycle Management Capacity Building Program for local governments in New South Wales, Australia. Fast forward to August 2016. His keynote presentation at Stormwater 2016: Rising to the Challenge, a national conference held in Queensland (Australia), provided him with a platform for reflecting on “parallel journeys” during the period 2001 through 2016. He explained how a changing climate resulted in “teachable moments” in British Columbia; and how a “regional team approach” guides implementation of a vision for Sustainable Watershed Systems, through Asset Management. “In my 2016 keynote, I introduced Australians to three “big ideas” that underpin where we are heading in BC, namely: Primacy of Hydrology, Shifting Baseline Syndrome, and Cathedral Thinking. The three are interconnected. The outcome would be Sustainable Watershed Systems. Changes in hydrology, not water quality, must be the primary focus of rainwater management and green infrastructure practices. If we get the hydrology right, water quality typically takes care of itself, especially in a residential development. 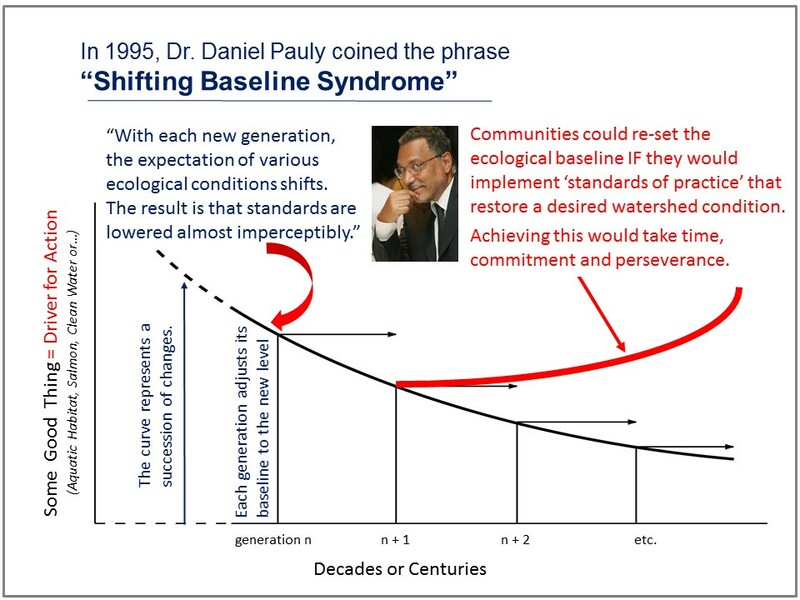 Coined by University of British Columbia’s Dr. Daniel Pauly, the Shifting Baseline Syndrome describes an incremental and imperceptible eroding of expectations and standards that results from each new generation lacking knowledge of the historical condition of the environment. The good news is that redevelopment creates an opportunity. If we can get the hydrology right the second time, and restore the water balance, we can then reset the ecological baseline. “These ideas resonated with the audience in Australia, and opened eyes and minds to a different way of thinking,” concluded Kim Stephens. 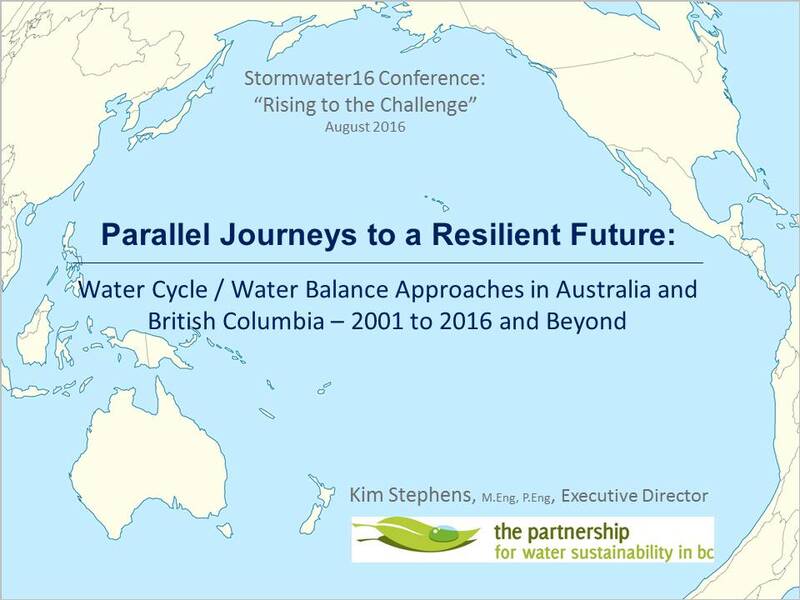 Download Parallel Journeys to a Resilient Future: Water Cycle / Water Balance Approaches in Australia and British Columbia – 2001 to 2016 and Beyond to view a PDF copy of the PowerPoint presentation by Kim Stephens.